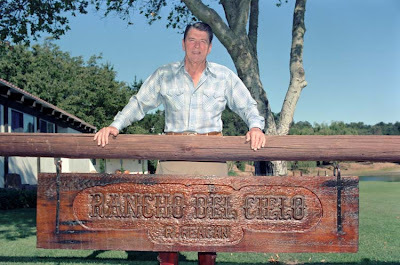 Ronald Reagan standing above his sign, Rancho Del Cielo, in California. 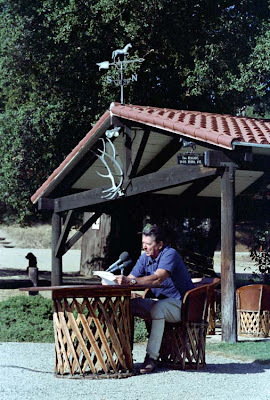 Giving a Radio Address to the nation September 4, 1982. How cute is this!?! 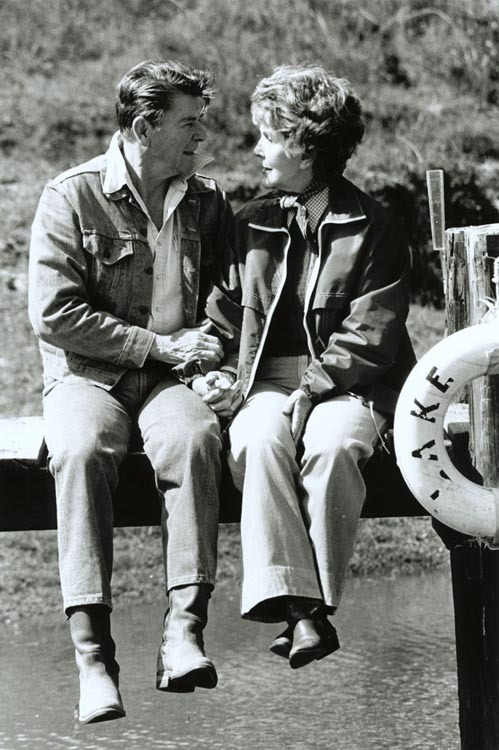 They are sitting by Lake Lucky at the ranch, March 4, 1982. Fall is the time when Texans like to don their boots and head to the ranch for bird hunting, football watching and good times with family and friends. 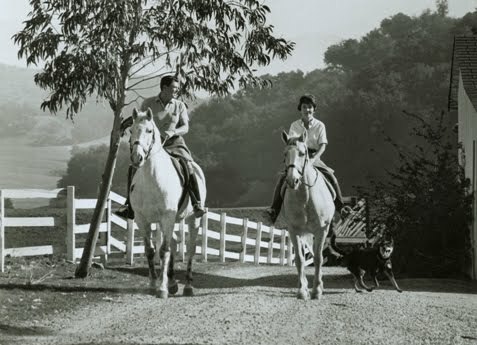 Even the biggest city slickers like to get dirty every now and then! 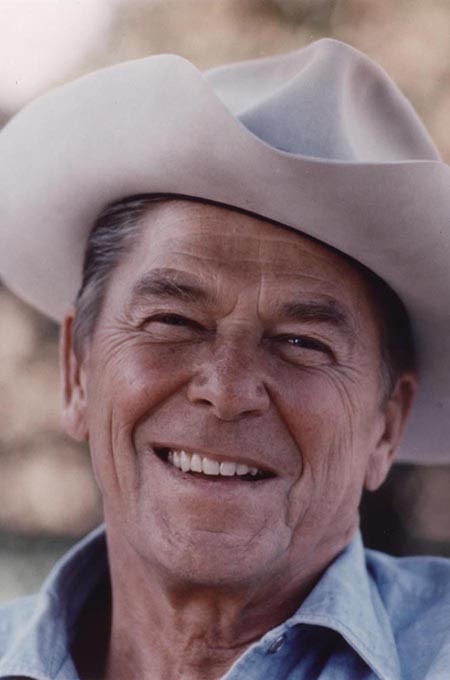 I'm writing this on September 11th so to me, Ronald Reagan represents a time when people felt patriotic and came together - much like Americans did after the 2001 attack. In Spanish, "Cielo" is defined as Heaven or Sky. President Reagan clearly loved this ranch and wasn't there just for the photo opportunity. While at this ranch, he not only gave a radio address but also signed the 1981 Tax Reconciliation Bill, the 1981 Omnibus Budget Reconciliation, met with political leaders, and took official phone calls from the tack room. Maybe it's because I'm Texan but I trust a man who isn't afraid to work with his hands, connects with the land and animals, looks and touches his wife with genuine adoration and names his dog,"Victory". Have a blessed day!